The 79th Academy Awards ceremony, presented by the Academy of Motion Picture Arts and Sciences (AMPAS), honored the best films of 2006 and took place February 25, 2007, at the Kodak Theatre in Hollywood, Los Angeles beginning at 5:30 p.m. PST / 8:30 p.m. EST. During the ceremony, the Academy of Motion Picture Arts and Sciences presented Academy Awards (commonly referred to as Oscars) in 24 categories. The ceremony, televised in the United States by ABC, was produced by Laura Ziskin and directed by Louis J. Horvitz. Actress Ellen DeGeneres hosted for the first time. Two weeks earlier in a ceremony at the Beverly Wilshire Hotel in Beverly Hills, California held on February 10, the Academy Awards for Technical Achievement were presented by host Maggie Gyllenhaal. The Departed won four awards, including Best Picture and Best Director for Martin Scorsese. Other winners included Pan's Labyrinth with three, An Inconvenient Truth, Dreamgirls and Little Miss Sunshine with two, and Babel, The Blood of Yingzhou District, The Danish Poet, Happy Feet, The Last King of Scotland, Letters from Iwo Jima, The Lives of Others, Marie Antoinette, Pirates of the Caribbean: Dead Man's Chest, The Queen and West Bank Story with one. The telecast garnered nearly 40 million viewers in the United States. 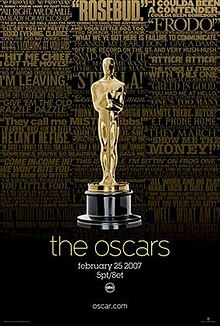 The nominees for the 79th Academy Awards were announced on January 23, 2007, at the Samuel Goldwyn Theater in Beverly Hills, California, by Sid Ganis, president of the Academy, and the actress Salma Hayek. Dreamgirls received the most nominations with eight, and Babel came in second with seven. This marked the first and only occurrence that the film with the most nominations was not a Best Picture nominee. This year was the third (and, to date, last) year in which two films not nominated for Best Picture received more nominations than the winner—Dreamgirls and Pan's Labyrinth, with eight and six, respectively. This had previously occurred at the 5th and 25th Academy Awards. The winners were announced during the awards ceremony on February 25, 2007. With his latest unsuccessful nomination for Best Actor, Peter O'Toole became the most nominated performer without a competitive win. Another oddity in the Best Actor category is that four of the five nominees were only nominated in that category and nothing else (the exception being Leonardo DiCaprio for Blood Diamond). This results in the only year since the 1st Academy Awards where none of the Best Actor Nominees were nominated for Best Picture and the first time since the 6th Academy Awards where none of the nominees were nominated for Best Screenplay. Best Supporting Actress winner Jennifer Hudson was the fifteenth Oscar acting winner to win for a debut film performance. "I Need to Wake Up" from An Inconvenient Truth became the first song from a documentary film to win Best Original Song. Ennio Morricone — In recognition of his magnificent and multifaceted contributions to the art of film music. Jennifer Lopez Introducer of the performances of Best Original Song nominees "Love You I Do", "Listen" and "Patience"
John C. Reilly Performers "Comedian at the Oscars"
Because of the declining viewership of recent Academy Awards ceremonies, producer Gil Cates declined to helm the upcoming festivities. The Academy sought ideas to revamp the show while renewing interest with the nominated films. In September 2006, the Academy selected producer Laura Ziskin to oversee production of the telecast for a second time. 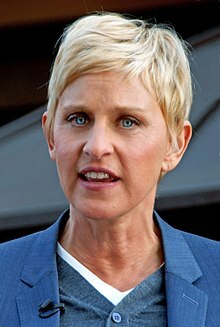 Nearly three months later, actress and comedian Ellen DeGeneres, who had previously emceed three Primetime Emmy Award ceremonies between 2001 and 2005, was chosen as host of the 2007 ceremony. In an article published in the Los Angeles Times, Ziskin explained the decision to hire DeGeneres saying "Certainly, I believe the presence of Ellen will help the ratings absolutely. She's popular with a very wide audience. She is not a niche performer. She touches a lot of demographics." AMPAS christened this year's telecast with a theme celebrating movie quotes. In tandem with the theme, advertising agency TBWA\Chiat\Day designed the official ceremony poster featuring 75 quotes from several Oscar-nominated or winning films. To stir interest surrounding the awards, filmmaker Spike Lee released a trailer featuring everyday people around New York City reciting famous film lines. During the ceremony, a montage produced by director Nancy Meyers saluted the work of screenwriters and their contributions to film. During the telecast, former U.S. Vice President and environmental activist Al Gore, and Best Actor nominee Leonardo DiCaprio announced that AMPAS would incorporate several environmentally and ecologically conscious features into the ceremony. Designed by Frank Webb and Matthew White, the Architectural Digest greenroom where presenters and winners mingled backstage featured several environmentally friendly features such as a rug made of recycled plastic bottles and walls painted without any volatile organic compounds. Other eco-friendly features included the transportation for guests of the awards via hybrid electric vehicles, usage of recyclable paper for ballots and invitations, and serving meals at the Governor's Ball on reusable plates and biodegradable dishware. Several other people participated in the production of the ceremony. William Ross served as musical director for the ceremony. J. Michael Riva designed a new set and stage design for the ceremony. 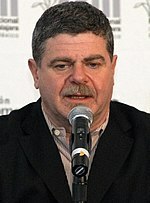 Voice actor Don LaFontaine was hired with Gina Tuttle as announcers for the telecast. Actor Greg Vaughan and Lucky columnist Allyson Waterman co-hosted "Road to the Oscars", a weekly behind-the-scenes video blog on the Oscar ceremony website. Members of the dance troupe and contortionist group Pilobolus performed interpretive shadow figures representing scenes and logos from the nominated films. Actors Jack Black, Will Ferrell, and John C. Reilly performed a lighthearted musical number written by comedic director Judd Apatow and music composer Marc Shaiman satirizing comedy's lack of recognition at the Academy Awards. Conducted by musician Steve Sidwell, the Sound Effects Choir performed voice effects to a montage of classic films. Another vignette directed by documentary filmmaker Errol Morris featuring several Oscar nominees discussing what it means to be an Oscar nominee was shown at the beginning of the show. 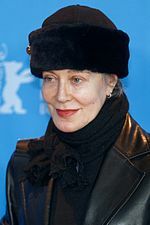 Italian director Giuseppe Tornatore assembled a tribute highlighting previous winners of the Best Foreign Language Film. Filmmaker Michael Mann produced a montage highlighting American life through the eyes of cinema. At the time of the nominations announcement on January 23, the combined gross of the five Best Picture nominees was $244 million with an average of $48.7 million per film. The Departed was the highest earner among the Best Picture nominees with $121.7 million in domestic box office receipts. The film was followed by Little Miss Sunshine ($59.6 million), The Queen ($35.6 million), Babel ($23.7 million) and finally Letters from Iwo Jima ($2.4 million). Of the top 50 grossing movies of the year, 29 nominations went to nine films on the list. Only The Pursuit of Happyness (12th), Borat: Cultural Learnings of America for Make Benefit Glorious Nation of Kazakhstan (15th), The Devil Wears Prada (16th), The Departed (17th) and Dreamgirls (28th) were nominated for Best Picture, Best Animated Feature or any of the directing, acting or screenwriting awards. The other top 50 box office hits that earned nominations were Pirates of the Caribbean: Dead Man's Chest (1st), Cars (2nd), Superman Returns (6th) and Happy Feet (8th). The show received a mixed reception from media publications. The review aggregator Rotten Tomatoes gave the show a 50% approval rating, based on 6 reviews. Some media outlets were more critical of the show. Tim Goodman of the San Francisco Chronicle lamented, "It was long. It was flat. And it was bloated. Worst of all, it was boring." He also wrote that "it was difficult for Ellen's subtle rambling to translate because people want pop and humor and declarative sentences in their Academy Awards. Which they didn't exactly get." The Denver Post television critic Joanne Ostrow bemoaned, "Pleasant and innocuous but hardly exciting, DeGeneres forgot the primary Academy Award host directive: It's not about the host. Hollywood's biggest night (and television's second-biggest annual gathering, after the Super Bowl) is a celebration of film." 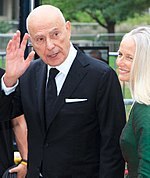 The Washington Post columnist Tom Shales gave an average review for DeGeneres but criticized the overall slow and choppy pacing of the program noting that it was "punishingly too long." Other media outlets received the broadcast more positively. Columnist Alessandra Stanley of The New York Times lauded DeGeneres's performance writing that she was "cheeky but good-natured, far less barbed and sardonic than Jon Stewart last year or Chris Rock in 2005." She added that her style brought a "casual Friday mood to Fancy Sunday." St. Louis Post-Dispatch television critic Gail Pennington praised host DeGeneres and producer Ziskin for turning "the evening into an upbeat celebration––and the most entertaining Oscars in years." Television editor Dave Kronke of the Los Angeles Daily News gave high marks for DeGeneres commenting, "Her material was amusing but scarcely a laugh riot, yet it was amiable and delineated that the evening was a celebration of all the nominees, not just the winners." The American telecast on ABC drew in an average of 39.92 million people over its length, which was a 2.5% increase from the previous year's ceremony. An estimated 76.72 million total viewers watched all or part of the awards. The show also drew higher Nielsen ratings compared to the previous ceremony with 23.59% of households watching over a 38.86 share. In addition, the program scored a higher 18-49 demo rating with a 14.18 rating over a 33.71 share among viewers in that demographic. In July 2007, the ceremony presentation received nine nominations at the 59th Primetime Emmys. 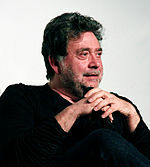 Two months later, the ceremony won two of those nominations for Outstanding Art Direction (J. Michael Riva, Geoffrey Richman, and Tamlyn Wright) and Outstanding Music Direction (William Ross). 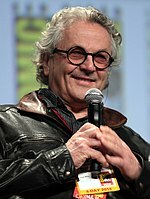 Before the montage was shown, Foster briefly eulogized casting director and Oscar winner Randy Stone who died nearly two weeks before the ceremony. ^ a b Vries, Lloyd (September 8, 2006). "Ellen DeGeneres to Host the Oscars". CBS News. CBS Corporation. Archived from the original on February 21, 2014. Retrieved February 3, 2014. ^ Slezak, Michael (February 25, 2007). "Live-blogging ABC's Oscar pre-show telecast". Entertainment Weekly. Time Inc. Archived from the original on February 4, 2014. Retrieved February 17, 2014. ^ "André Leon Talley Named Oscar Pre-show Host". Academy of Motion Picture Arts and Sciences. AMPAS. January 30, 2007. Archived from the original on April 20, 2007. Retrieved February 14, 2014. ^ a b Thompson, Toni (February 5, 2007). "Allyson Waterman Named Co-host of "Road to the Oscars(R)" and Host of Oscar.com". Academy of Motion Picture Arts and Sciences. AMPAS. Archived from the original on April 20, 2007. Retrieved February 3, 2014. ^ "Laura Ziskin returns as Oscars show producer". USA Today. Gannett Company. July 21, 2006. Archived from the original on February 20, 2014. Retrieved July 17, 2013. ^ Lindeen, Julie (December 20, 2006). "Horvitz at Oscar helm again". Variety. Penske Media Corporation. Archived from the original on March 3, 2014. Retrieved February 3, 2014. ^ Lowry, Brian (February 25, 2007). "Review: "The 79th Annual Academy Awards"". Variety. Penske Media Corporation. Archived from the original on February 27, 2014. Retrieved July 18, 2013. ^ a b Finke, Nikki. "UPDATE: 39.9 Million Watch 79th Oscars". Deadline Hollywood. Penske Media Corporation. Archived from the original on December 13, 2013. Retrieved February 3, 2014. ^ "Ellen, meet Oscar". USA Today. Gannett Company. September 7, 2008. Archived from the original on February 21, 2014. Retrieved February 16, 2014. ^ Rich, Joshua (February 7, 2007). "Maggie G. Hosts Sci/Tech Oscars". Entertainment Weekly. Time Inc. Archived from the original on December 2, 2013. Retrieved July 18, 2013. ^ Halbfinger, David M.; Waxman, Sharon (February 26, 2014). "'The Departed' Wins Best Picture, Scorsese Best Director". The New York Times. The New York Times Company. Archived from the original on March 4, 2014. Retrieved February 17, 2014. 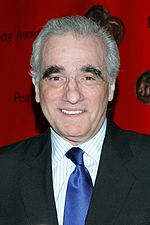 ^ "At Long Last, Scorsese Wins Oscar". CBS News. CBS Corporation. February 11, 2009. Archived from the original on October 22, 2013. Retrieved October 22, 2013. ^ Stein, Ruthe (January 22, 2007). "Sure, the film business is cutthroat, but it also has heart, says industry leader Sid Ganis, who seems to have a lot of heart himself". The San Francisco Chronicle. Hearst Corporation. Archived from the original on February 2, 2014. Retrieved July 16, 2013. ^ Kaufman, Gil (January 23, 2007). "'Dreamgirls' Leads Oscar Noms — Without Best Picture Or Beyonce". MTV. Viacom Media Networks. Archived from the original on February 22, 2014. Retrieved February 14, 2014. ^ Rea, Steven (January 24, 2007). "Oscar hugs and shrugs The Academy Award nominations show unusual diversity this year and, in the case of "Dreamgirls," an oddity. Oscar is doing his part for diversity". The Philadelphia Inquirer. Philadelphia Media Network. Archived from the original on February 19, 2014. Retrieved January 22, 2014. ^ "'The Departed' Takes Home Best Picture Oscar, Director Award for Martin Scorsese". Fox News. 21st Century Fox. February 26, 2007. Archived from the original on 2013-12-16. Retrieved September 16, 2011. ^ "Peter O'Toole". The Indianapolis Star. Gannett Company. December 15, 2013. Archived from the original on 2014-02-02. Retrieved January 31, 2014. ^ Montgomery, Daniel (January 24, 2014). "Will Lupita Nyongo and Barkhad Abdi join 15 Oscar winners for film debuts?". Gold Derby. Archived from the original on February 1, 2014. Retrieved January 31, 2014. ^ "The 79th Academy Awards (2007) Memorable Moments". Academy of Motion Picture Arts and Sciences. AMPAS. Archived from the original on October 22, 2014. Retrieved February 14, 2014. ^ "The 79th Academy Awards (2007) Nominees and Winners". Academy of Motion Picture Arts and Sciences. AMPAS. Archived from the original on October 14, 2014. Retrieved November 18, 2011. ^ Campbell, Christopher (December 14, 2006). "Ennio Morricone Finally Gets an Oscar". Moviefone. AOL. Archived from the original on May 16, 2014. Retrieved August 8, 2013. ^ Lindeen, Julie (December 14, 2006). "Honorary Oscar to Lansing". Variety. Penske Media Corporation. Archived from the original on February 27, 2014. Retrieved February 1, 2014. ^ "79th Academy Awards Presenters and Performers". Academy of Motion Picture Arts and Sciences. AMPAS. Archived from the original on February 26, 2007. Retrieved June 5, 2013. ^ a b Kirschling, Gregory (February 26, 2007). "Live-blogging the Oscars, baby!". Entertainment Weekly. Time Inc. Archived from the original on February 2, 2014. Retrieved February 1, 2014. ^ Burlingame, Jon (February 26, 2007). "Music Tributes Fill Oscar Weekend". The Film Music Society. Archived from the original on August 17, 2007. Retrieved September 16, 2007. ^ Archerd, Army (July 20, 2006). "Oscar gig for Ziskin". Variety. Penske Media Corporation. Archived from the original on March 3, 2014. Retrieved February 3, 2014. 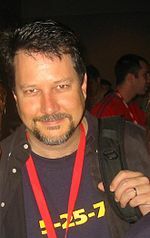 ^ Welkos, Robert W. (September 9, 2006). "Everybody likes Ellen, especially Oscar". Los Angeles Times. Tribune Publishing. Archived from the original on December 22, 2013. Retrieved February 3, 2014. ^ a b "Movie Quotes Line the Road to Oscars". Academy of Motion Picture Arts and Sciences. AMPAS. January 25, 2007. Archived from the original on April 20, 2007. Retrieved February 17, 2014. ^ Sneider, Jeff (December 19, 2006). "Oscar poster lines 'em up". Variety. Penske Media Corporation. Archived from the original on March 4, 2014. Retrieved February 17, 2014. ^ White, Dave (February 26, 2007). "Oscars: Even more bloated than 'Idol'". NBC News. NBCUniversal. Archived from the original on February 22, 2014. Retrieved February 17, 2014. ^ Fernandez, Jay A. (February 28, 2007). "A step toward recognizing where it starts". Los Angeles Times. Tribune Publishing. Archived from the original on March 4, 2014. Retrieved February 17, 2014. ^ "Natural Resources Defense Council "Greens" the Academy Awards". Natural Resources Defense Council. NDRC. February 25, 2007. Archived from the original on October 1, 2013. Retrieved February 17, 2014. ^ Puente, Maria (February 14, 2007). "It's stylish, it's lavish, it's ... the greenroom?". USA Today. Gannett Company. Archived from the original on 21 February 2014. Retrieved 1 February 2014. ^ Faber, Judy (February 26, 2007). "No Statue, But A Win Nonetheless For Gore". CBS News. CBS Corporation. Archived from the original on February 22, 2014. Retrieved February 17, 2014. ^ Sneider, Jeff (February 20, 2007). 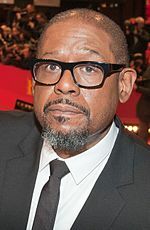 "Black, Keaton added to Oscars". Variety. Penske Media Corporation. Archived from the original on February 28, 2014. Retrieved February 1, 2014. ^ Repstad, Laura (December 28, 2006). "Riva tapped as production designer". Variety. Penske Media Corporation. Archived from the original on March 1, 2014. Retrieved February 1, 2014. ^ Keck, William (February 22, 2007). "A star is born in shape- shifting Pilobolus". USA Today. Gannett Company. Archived from the original on February 20, 2014. Retrieved February 3, 2014. ^ Apatow, Judd (July 9, 2007). "Apatow recalls working with Shaiman". Variety. Penske Media Corporation. Archived from the original on March 4, 2014. Retrieved February 17, 2014. ^ "Composer | Steve Sidwell". Universal Music Publishing Group. NBCUniversal. Archived from the original on January 7, 2014. Retrieved February 3, 2014. ^ Thompson, Anne (February 23, 2007). "Morris cuts it close with his Oscar docu". The Hollywood Reporter. Prometheus Global Media. p. 6. Archived from the original on May 16, 2014. ^ Susman, Gary (February 27, 2007). "Oscars '07: 10 Memorable Moments". Entertainment Weekly. Time Inc. Archived from the original on February 22, 2014. Retrieved February 14, 2014. ^ Kennedy, Lisa (February 26, 2007). "An icon gets his due, but not for best work". The Denver Post. MediaNews Group. Archived from the original on February 22, 2014. Retrieved February 14, 2014. ^ a b "2006 Academy Award Nominations and Winner for Best Picture". Box Office Mojo. Amazon.com. Archived from the original on January 31, 2014. Retrieved January 30, 2014. ^ a b "2007 Domestic Grosses (as of January 23, 2007)". Box Office Mojo. Amazon.com. Archived from the original on February 1, 2014. Retrieved April 16, 2007. ^ "The Academy Awards: 79th Oscars (2007)". Rotten Tomatoes. Archived from the original on April 4, 2019. Retrieved September 28, 2018. ^ Goodman, Tim (February 25, 2007). "Departed evening of bloated, boring Hollywood babble". San Francisco Chronicle. Hearst Corporation. Archived from the original on February 22, 2014. Retrieved February 6, 2014. ^ Ostrow, Joanne (February 26, 2007). "Mediocre Ellen lowers telecast to daytime". The Denver Post. MediaNews Group. Archived from the original on February 22, 2014. Retrieved February 6, 2014. ^ Shales, Tom (February 26, 2007). "The Broadcast: Long and Longer". The Washington Post. The Washington Post Company. Archived from the original on September 7, 2013. Retrieved February 6, 2014. ^ Stanley, Alessandra (February 25, 2007). "Bringing a Touch of Daytime to Hollywood's Biggest Night". The New York Times. The New York Times Company. Archived from the original on March 4, 2014. Retrieved February 3, 2014. ^ Pennington, Gail (February 26, 2007). "DeGeneres kept the Oscar show upbeat and lively". St. Louis Post-Dispatch. Lee Enterprises. p. D1. ^ Kronke, David (February 26, 2007). "Yep, She's Funny Gentle Humor wins for DeGeneres". Los Angeles Daily News. MediaNews Group. ^ Gorman, Bill (March 8, 2010). "Academy Awards Averages 41.3 Million Viewers; Most Since 2005". TVbytheNumbers. Archived from the original on 10 March 2010. Retrieved March 12, 2010. ^ Rich, Joshua (February 27, 2007). "A few lingering Oscar curiosities". Entertainment Weekly. Time Inc. Archived from the original on February 2, 2014. Retrieved January 31, 2014. ^ "Academy Awards ratings" (PDF). Television Bureau of Advertising. Archived from the original (PDF) on May 15, 2013. Retrieved June 27, 2013. ^ Gough, Paul J. (February 28, 2007). "Strong week for ABC, but 'Idol' lifts Fox". The Hollywood Reporter. Prometheus Global Media. Archived from the original on March 17, 2014. Retrieved January 31, 2014. ^ "Primetime Emmy Award Database". Academy of Television Arts and Sciences. ATAS. Archived from the original on June 23, 2013. Retrieved July 18, 2013. ^ "Emmy Winners List". CBS News. CBS Corporation. September 16, 2007. Archived from the original on December 2, 2013. Retrieved July 17, 2013. ^ "The complete list of winners". Los Angeles Times. Tribune Publishing. September 17, 2007. Archived from the original on February 22, 2014. Retrieved February 1, 2014. ^ Harada, Wayne (March 22, 2007). "Randy Stone, award-winning producer, 48". The Honolulu Advertiser. Black Press. Archived from the original on February 22, 2014. Retrieved February 17, 2014.